SUMMIT COUNTY – With snowfall from the latest round of storms tallying anywhere between 1 and 2 feet, forecasters at the Colorado Avalanche Information Center are warning that tricky conditions prevail in many parts of the local backcountry, with the threat of triggered and even natural releases on wind-loaded slopes and in gullies. The avalanche danger in the northern mountains is rated moderate, with pockets of considerable danger at all elevations and on aspects ranging from north to east to south. 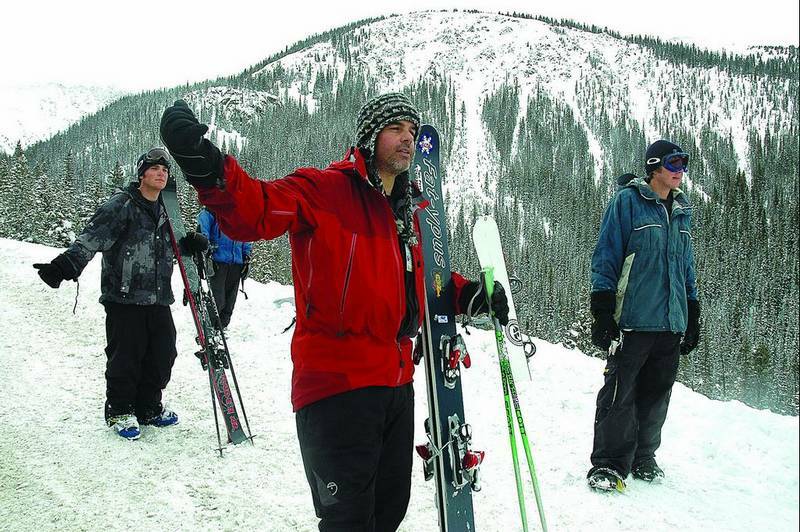 The avalanche center is recommending that backcountry travelers avoid slopes steeper than 35 degrees for now, limiting powder thrills to lower-angle slopes. Steeper slopes should be treated with extra caution or avoided altogether, forecaster Dale Atkins said in his Wednesday morning hotline message. “The bottom line is … triggered releases are possible to even probable on steeper wind-drifted slopes,” Atkins said. Avalanche control work triggered several slides on Loveland and Vail passes Tuesday, and natural releases were spotted in the Southern Mountains. Avalanche control work at Steamboat and Summit County ski areas also resulted in numerous releases. In particular, some of the top-most layers of the snowpack are tender and prone to collapse, after Monday’s light, cold and low-density snow was covered the next day by a significant dump of heavier snow.Backcountry travelers including snowmobilers should check the avalanche center hotline before planning a trek into avalanche-prone terrain. Call (970) 668-0600 for the latest updates or check conditions online at http://geosurvey.state.co.us/avalanche.